Jack Herer is a regular indica/sativa hybrid that the result of the combining famous genetics of Haze, Northern Lights #5 and Shiva Skunk. The strain is a multiple winner, it took nine awards. Today Jack Herer is a recognised medical remedy and one of the most well-known variety all over the world. The plant inherited a tropical sativa high and a great indica resin production with high THC content of 20%. The mass of sparkling trichomes covers the buds as well as leaves. Jack Herer has a several phenotypes. Indica plants demonstrate short blooming and compact buds. 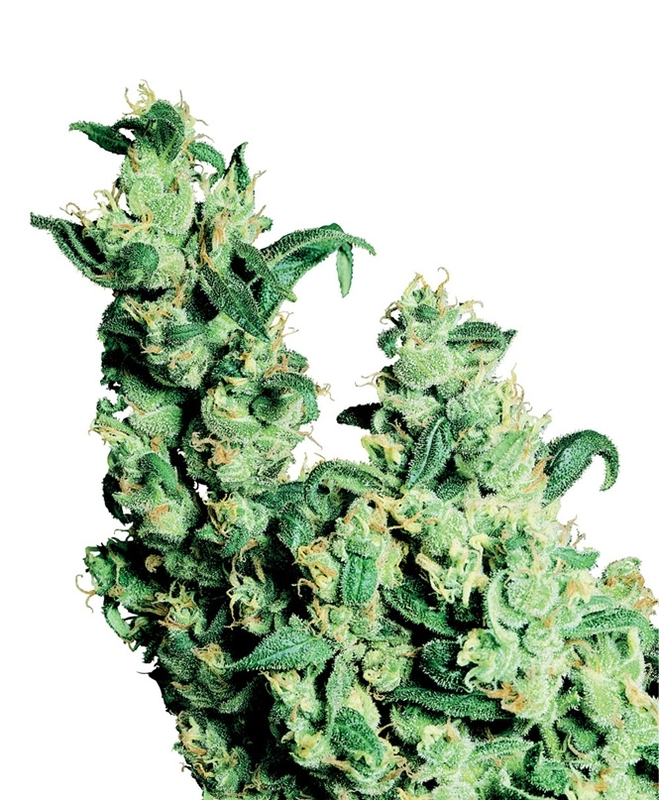 The strain has a bitter aroma with notes of freshness and a sour, grassy taste. Jack Herer provides a very potent cerebral sativa high and brings a long-lasting feeling of relaxation. It also has a medical use for increasing appetite and removing pain.